You already know, but it’s November as of yesterday. Last time I did a round of adds to The Obelisk Radio was June 5. Granted we’ve had two Quarterly Reviews since then, so not everything has fallen through the cracks in terms of being written up, but even some of that stuff has built up a backlog waiting to be added to the playlist. Accordingly, there are over 130 records joining The Obelisk Radio today. You can see the full-list here. That is a massive number for one shot, and some of it is new and some older stuff fills in gaps, mostly in the Black Sabbath catalog. but either way, after five months, it seems like a fair amount to come back with. I’m not sure I’ll be able to schedule a round of Radio Adds every week from here on out — I couldn’t before, if you’ll recall — but as ever, I’ll do my best. As you might expect, five months later, there are some really great records to talk about. We’ll start with the newest one. A special Halloween release, the complete title of the latest from Sun Blood Stories is Samhain Variations: In Flight Raid Wake up I Don’t Know, and sure enough at the beginning of “Samhain Variation 1” (15:30), lap steel guitarist/vocalist Amber Pollard gives a cabin announcement welcoming listeners aboard “Trip Airlines Flight 666 bound to your brain” as she and guitarist Ben Kirby set out an immediately experimental-sounding foundation of plucked notes, feedback, drones and other noises. What follows from there — mind you that’s about the first 10 seconds — across “Samhain Variation I” and it loop-drum-infused counterpart “Samhain Variation II” (26:50) is a twisted barrage of alternately hypnotic and assaulting sounds, feeling like an exponential expansion of some of the ambient back end of summer-2015’s Twilight Midnight Morning (review here) full-length, with which I remain enamored. The difference is that where those were smaller pieces that, at times, seemed to touch back down to solid footing reminding of the album’s more straightforward beginning movement, Samhain Variations is an ethereal wash that trades back and forth between melodic and amelodic, touching on the memorable “West the Sun” at the launch of “Samhain Variation II,” but ultimately shaping itself into an unrecognizable form. The second part is harsher than the first and substantially longer, but both reinforce the open creative process the band showed a couple months back on Live at the Banana Stand (posted here), and of course, on the album that preceded it. They remain a band to which more people need to get hip, and Samhain Variations is a flight worth taking. Sun Blood Stories on Thee Facebooks, on Bandcamp. Moncton ritualizers Zaum will reportedly have a new full-length out in 2016 to follow their impressive 2014 debut, Oracles (review here). In the interim, they’ve partnered with freakout-prone Saskatoon heavy psych rockers Shooting Guns for a split titled Himilaya to Mesopotamia that is out on vinyl this week. With one track from Zaum, the extended “The Serpentshrine” (19:07), and three from Shooting Guns all over six minutes, it’s well substantial enough for a 12″ and gives its audience plenty to dig into from each act, the two-piece Zaum gracefully and gradually unfolding Eastern inflections and immersive drones on “The Serpentshrine” across a hilltop-shaped, parabolic build that swells to greater impact in the middle and recedes to chants and drones at the end from the psychedelic doom march that emerges. 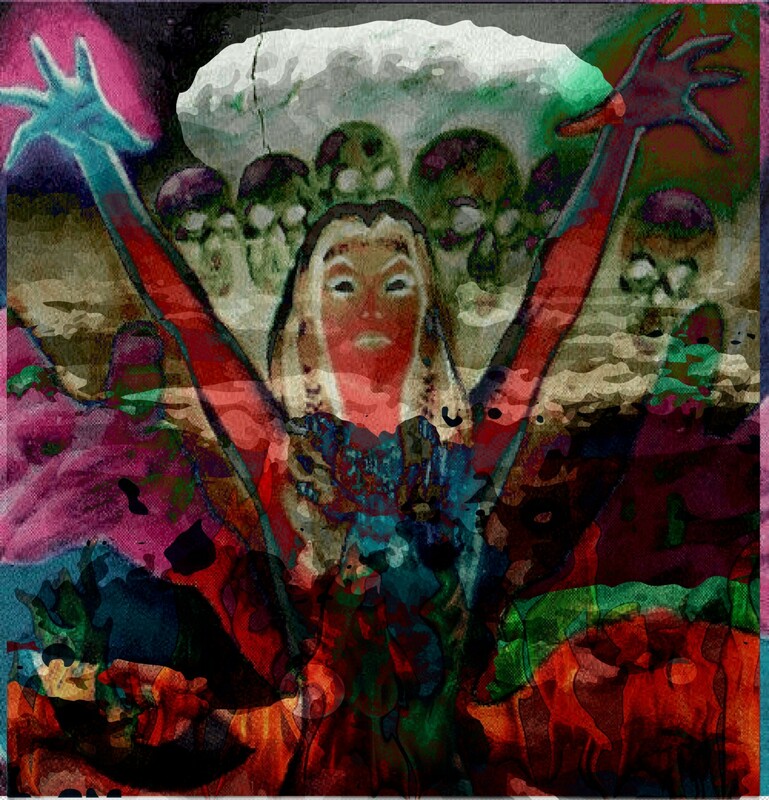 Their work remains fluid and progressive, and “The Serpentshrine” fits well alongside Shooting Guns‘ “Super Himalaya,” “Dirty Needle” and instrumental closer “Ultimate Nullifier,” which between them establish an album-style flow that goes from far to farther out, melding space rock, noise, and psych fuckall into the potent nod of “Dirty Needle,” casting a wide cosmic berth of echoing guitar and thrusting rhythm. Shooting Guns tip hat to “War Pigs” in “Ultimate Nullifier,” but by then the vibe is so lysergic that it’s really just one more ingredient in the cauldron. Might get under general-public radars, but a gem of substantial pulsation. Zaum on Thee Facebooks, Shooting Guns on Thee Facebooks, Zaum on Bandcamp, Shooting Guns on Bandcamp. 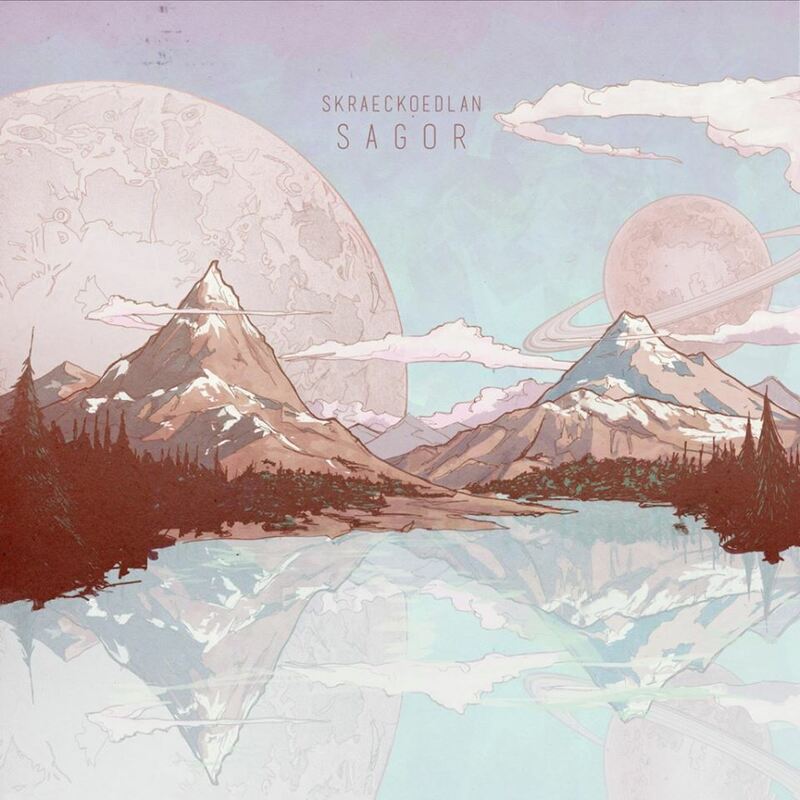 The awaited follow-up from Swedish stonerplodders Skraeckoedlan on Razzia Records, Sagor answers the big riffing of the band’s 2011 debut, Äppelträdet (review here), with a more progressive realization of some similar ideas, the tones still post-Truckfighters, the largesse still post-Mastodon, but the band impressively carving out their own dynamic within their not-quite-metal-but-still-viciously-weighted approach, songs like the post-intro “Gigantos” (7:27) and “El Monstro” pummeling out melodically conscious heft (the latter with guest vocals) while pieces like “Awen” (1:08), the structurally forward “Flod” (2:46) and even the longest cut here, “Squidman” (8:09) managing not to lose track of a consistent atmosphere amid all the unbridled feel. At 53 minutes, Sagor is not a minor undertaking, but somehow, for an album about giant monsters and built on top of likewise proportioned riffs and grooves, it makes a kind of conceptual sense, and I won’t fight against the sway of “Epos” (5:47) or the poise that “Odjuret” (6:39) seems to showcase in the vocals, switching between full-sounding shouts in the chorus and a Greenleaf-style verse, duly fuzzed and engagingly heavy. Originally titled Gigantos and recorded at various different studios, Sagor seems to have been an adventure in the making, but however daunting the process may have been, Skraeckoedlan have come out of it with a sophomore outing that answers the potential of their debut and finds them refining a sound that one hopes only continues to become more their own from here. Skraeckoedlan on Thee Facebooks, on Bandcamp, Razzia Records. Based now in San Francisco with roots in Maine, two-piece newcomers Mount Desert impress on their debut two-song demo with the spaciousness they bring to their tracks. What feels like a 7″ in the making, the pair of “Blue Madonna” (4:45) and “Fear the Heart” (6:36) showcase stylistic cohesion on the part of guitarist/vocalist Scott and drummer Jordan, an overarching reverb seeming to take hold on the first song and continue into the second. These are initial explorations — demos by any other name — but Mount Desert tap into psychedelia with a corresponding earthiness that reminds of the first Sigiriya record in its blend, and feels neither nostalgic nor like it’s trying overly hard to position itself within the West Coast heavy psych sphere’s jammy infatuations. 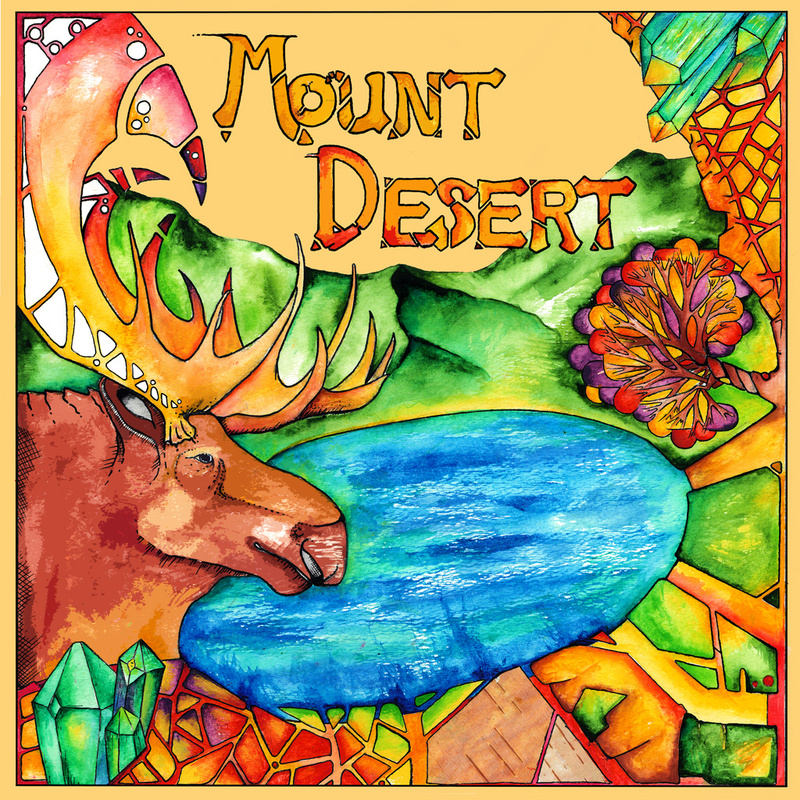 It will not feel out of place genre-wise to first time listeners who take it on, but neither are Mount Desert completely familiar. “Blue Madonna” and “Fear the Heart” work quick and efficient, but retain atmospheric resonance as well, and while their real tests are ahead of them, the molten beginnings of “Blue Madonna” and the crunching finish of “Fear the Heart” give an encouraging sense of range, and while exciting for how Mount Desert might build on them, that excitement comes from what the duo have already accomplished here. Mount Desert on Thee Facebooks, Mount Desert on Soundcloud. Together for just about a year at the time of its release in May, Aussie sludge-plus four-piece Merchant make their presence felt with “Seismic” (9:36), an initial single released as a name-your-price download that seems geared toward announcing their arrival on the fertile ground of Melbourne’s heavy scene. They’re not without their psychedelic flourish, but vocalist Mirgy offers throaty growling — here reminding of New Zealand’s Beastwars, there delving even further into gutturalisms — to top the rolling undulations of guitarist Ben, gotta-hear-this-tone bassist Wilson and drummer Nick and that ensures Merchant never stray too far from the muck toward the cosmos. Ben takes a fuzzy solo in the back half, but Merchant bring their first sally to a crashing finish, lumbering out a few final hits before the amp noise squeezes the last air out of the room. Melbourne heavy is about as multi-faceted as a scene gets — see also Portland, Oregon — but Merchant show also that it’s still growing and that there are those within the city limits looking to push the boundaries of extremity beyond their breaking point. 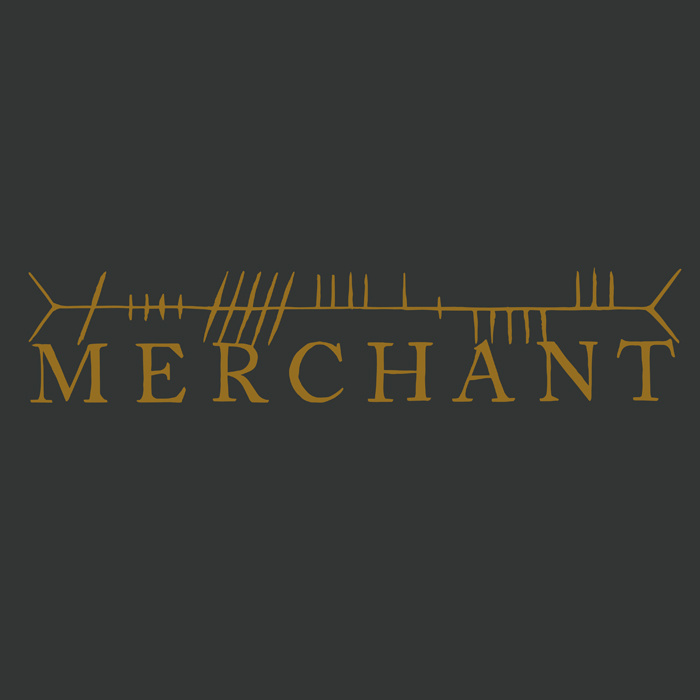 For being just under 10 minutes, “Seismic” tells us an awful lot about Merchant and their intentions over the longer term, and it seems like a warning listeners will want to heed. Merchant on Thee Facebooks, on Bandcamp. Thanks for reading. 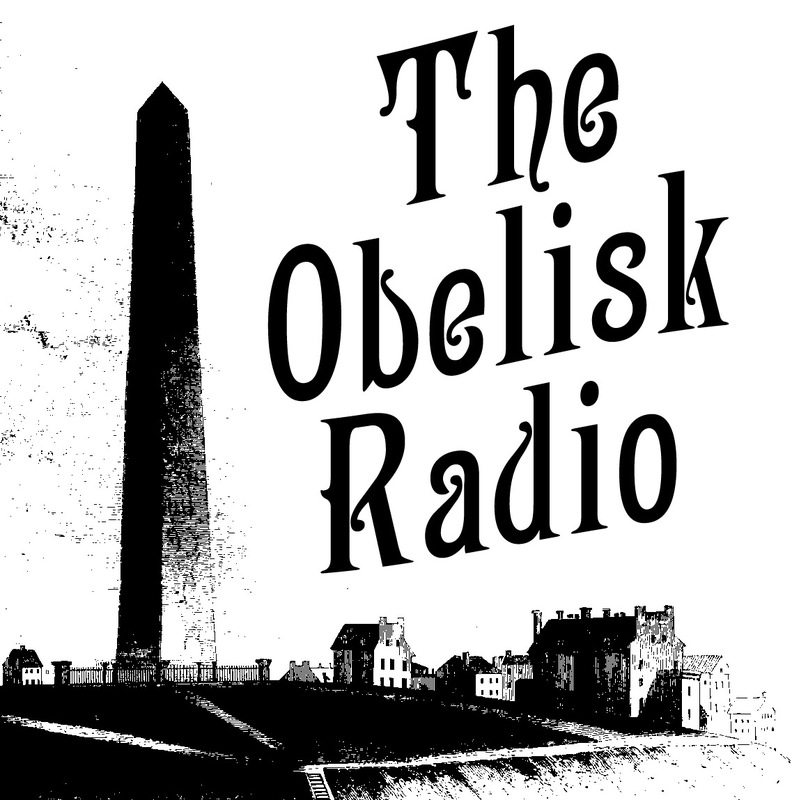 I hope you find something you dig, and if you want to see the full list of the 130-plus records added to the server today, check out The Obelisk Radio Playlist and Updates page. This entry was posted	on Monday, November 2nd, 2015 at 2:25 pm	and is filed under Radio. You can follow any responses to this entry through the RSS 2.0 feed. You can leave a response, or trackback from your own site.